She makes a considerably good transition to human form, aye? It's pretty much a lady, but still contains enough pony to conjure hate! Nuuuuuu not The Suspicious Remote! Come back! > **Posted by Pickles the Cat** > Now we need a Fluttershy version Give me a few hours in photoshop and plenty of free time, I'll see what I can conjure up. **Pros:** - It's adorable. The plush anyway. - No ungodly glares I can see, and it's presented in a clean fashion. 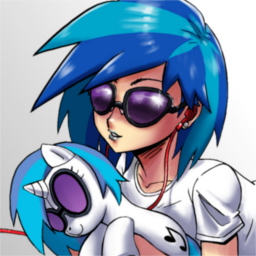 **Cons:** - Not EXACTLY a Con, but not truly a big fan of the humanized pony art style presented here. **Improvements:** - None to be said. **Notes:** - This is a good spray. Not a GREAT spray, but fairly decent. But not one I'd use. (Bad pun incoming) Does this mean she's playing with herself?